Brain tissue death due to stroke. 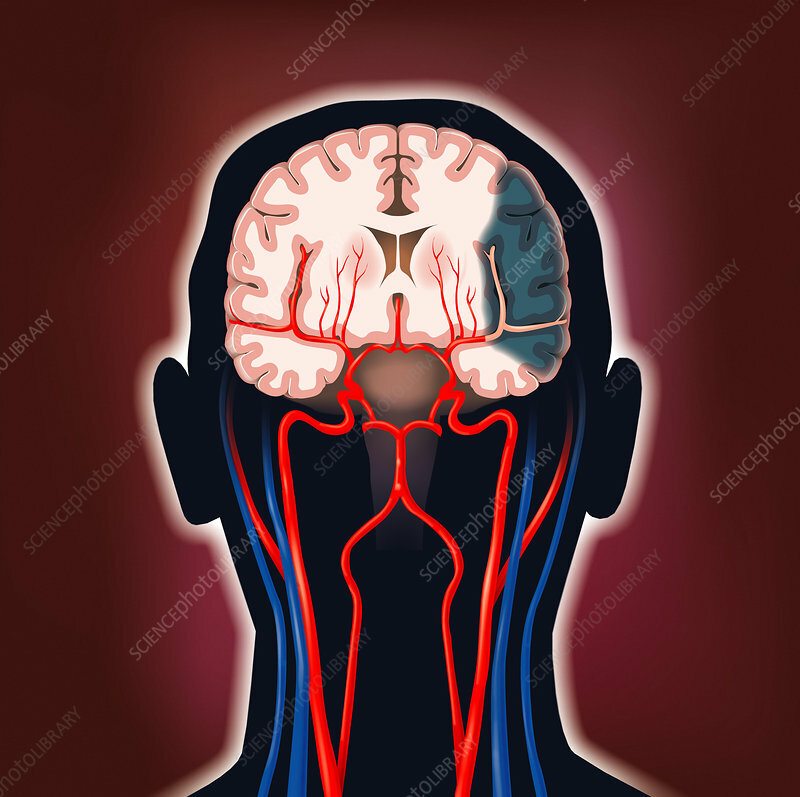 Artwork of a cerebrovascular accident (CVA, stroke). This view shows a vertical slice through the head, showing the brain (white) and arteries (red) and veins (blue). The internal arteries ascending the neck meet at the Circle of Willis (centre) and then branch out through the brain. The blood supply in the brain has been interrupted at upper right, leading to death of brain tissue (dark green area). This is known as an ischaemic stroke, caused by a blockage, such as a blood clot, as opposed to a stroke caused by a rupture of a blood vessel. Strokes are a leading cause of death, and if the patient survives, paralysis and brain damage are common.